About this time last week I was relaxing on holiday in Turkey gently floating on a lilo in the stunning infinity pool. 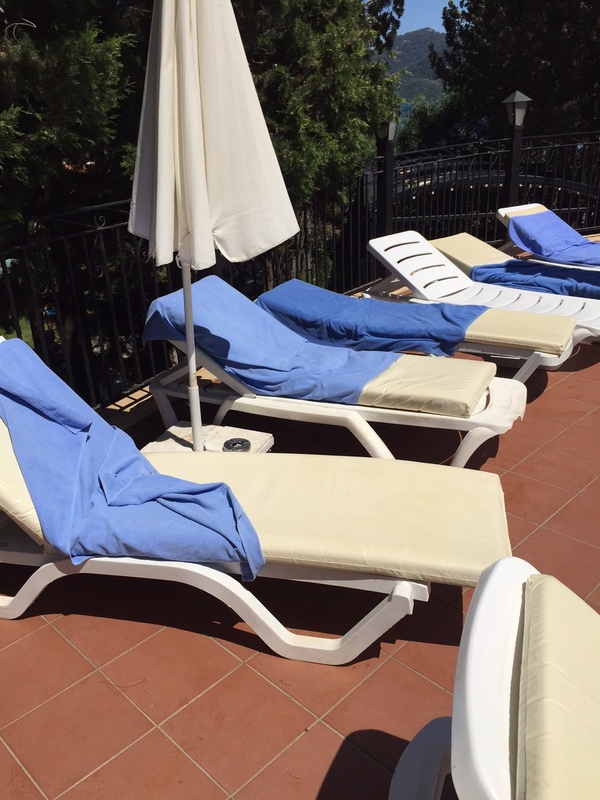 A sudden yell from my wife, a few feet away, interrupted my reverie as I heard her shout “that person has taken Agy’s (my daughter’s) towel from her sun lounger”. As I looked up I saw her pointing at the figure of a young man disappearing from the poolside carrying a blue towel and heading swiftly in the direction of some lodges. “Quick” she said, “go after him” and instinctively I swam to the edge of the pool hauled myself out and gingerly trotted up the path feeling the red hot paving under my feet. “Hey you” I optimistically called out but the culprit was by now turning into a small garden seemingly unaware of my pursuit. As I reached the garden I called again and this time he turned around in surprise as he was unlocking the door. “You have taken my daughters towel” I said, hoping that my voice sounded assertive even though I knew I was slightly panting from the exertions. The man looked perplexed and said nothing as I reached out and took the offending item from him. Upon returning poolside my wife somewhat sheepishly now advised me that in fact it was from a neighbouring sun bed that the towel had been retrieved and indeed Agy’s was where she had left it! Had I double checked my source’s information I could have avoided one difficult conversation (let alone the comical sight of me running and the resulting burnt soles). As it was I now had to face up to a second potentially difficult conversation! Fortunately the young man had not yet rounded up his larger relatives (he turned out to be one of a party of Russians) and I was able to mumble an apology and thrust the towel back into his arms before scarpering. So let this be a lesson – always check your facts especially if they emanate from a third party however sincerely given.